Alternate Power: 100 bonus points for Field Day groups making a minimum of five QSOs without using power from commercial mains or petroleum driven generator. This means an "alternate" energy source of power, such as solar, wind, methane or water. This includes batteries charged by natural means (not dry cells). Well I have gone for the bonus in past years but you know for a given battery it may have some charge from commercial as well as solar panel. I did read somewhere of a group that used a supercapacitor and solar panel combination to meet the requirements. So I obtained a ultracapacitor via ebay "Ultracapacitor Module Kit" which is a bank of six 350 Farad capacitors. a single cap can handle 2.7 volts. So it takes six in series to have a 16.2 volt bank. There was soldering involved. The post on the caps are thick so a solder gun was required. Thanks to Vic K4GXV for loaning me one. At first I was rather cautious and hooked the bank to a 15 watt panel. The source must be current limited and the 15 watt solar panel might put out an amp. It took maybe 20 minutes to charge to 11.85 volts. At that point I discharged it with a 12 volt lamp. Now getting bolder I used a 100 watt panel that puts out about 4.5 amps. I had the morning sun and it charged the bank up to 13.4 volts in two or three minutes. Now let me mention that my understanding of solar panels and radios is that you do not hookup a panel directly to a radio. In fact even with a the solar charger the panel will pass on 20 volts if there is no current draw. So that would not be good for a radio. So it is my practice to use a battery and ensure that the panel never feeds the radio directly no matter how I play with the wires. The voltage of the solar panel clamps down to the battery voltage. Now in this scenario a capacitor bank can replace the battery. I would charge up the cap bank first, then you have the nominal 13.4 volts. The solar charger limits the voltage to the caps like it does for a battery. I found an equation at this link that said for estimating purposes a 2 amp draw for 30 seconds would drop the voltage one volt with a 60 Farad capacitor. Living more dangerously I fed the KX3 off the cap bank with the solar panel still hooked up. I found the 200 ma receive current is constantly replaced by the solar panel maintaining the 13.4 volts. On 10 watts SSB the voltage drops off to 12 something like most batteries. With the some sun the voltage will return to 13.4 fast enough that it is like being on a battery. I checked into SCARS on 7.251 and worked Michigan on 17 meters as a test. The KX3. Do hot put a KX3 on a black surface in the Florida Sun! 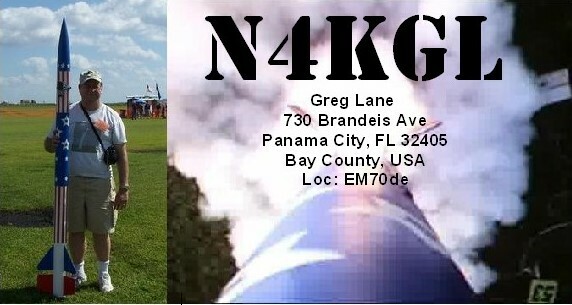 This looks good enough for Field Day natural power QSOs. I don't know if this makes sense for anyone's operating style. I do think I could use more fuses on input and output of the cap for safety sake.﻿ The supercapacitors will discharge more rapid than a battery and that is useful for some applications but otherwise it could be hazardous. So be careful if you play with these caps.